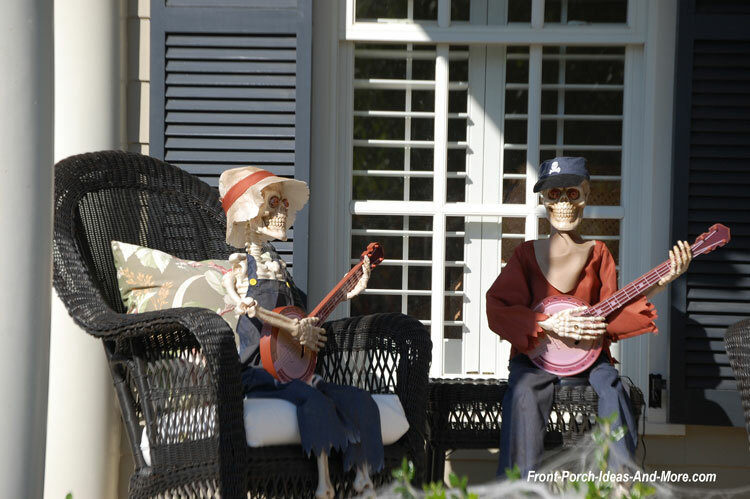 Halloween porch decorations are more popular than ever. If you don't have a lot of time (nor desire) to spend on Halloween decorating but want to join in the fun - you've come to the right place. 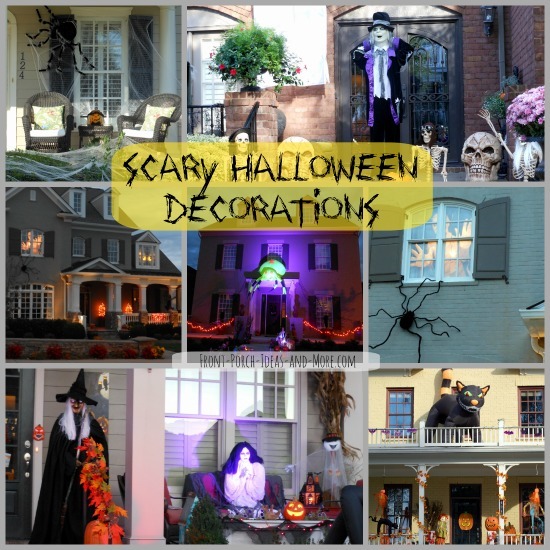 In just a very short time you can turn your home into a Halloween to remember! 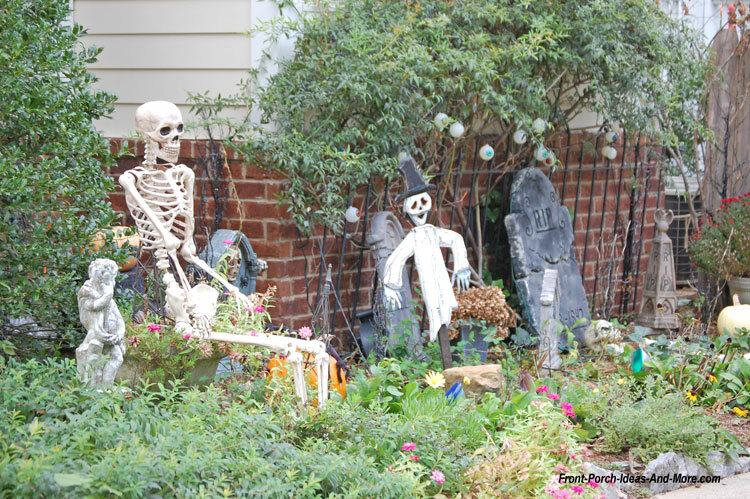 Whether you want spooky Halloween porch decorations or a fun and amusing look, use our ideas below for your own front porch and yard. 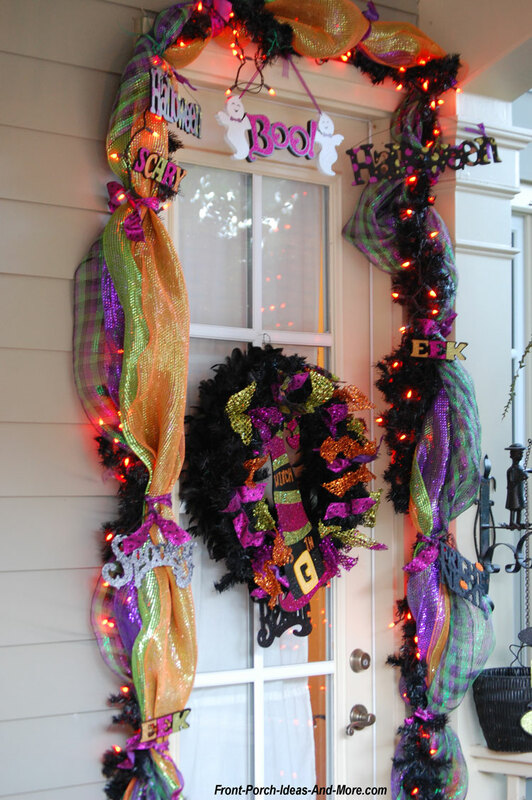 You are never too old to enjoy Halloween, especially with all of the decorating options right at your fingertips! 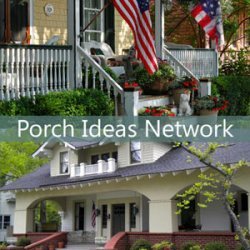 Mary and I have selected several Halloween decorating options we think you'll enjoy considering for your Halloween porch this year. 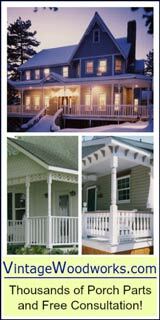 We also give you access to similar products from which you can choose or as ideas you can use for your front porch and yard. 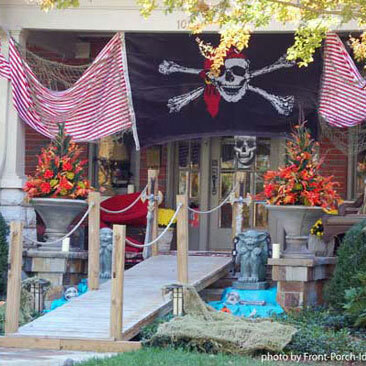 For most of us, Halloween comes quickly making decorating a last-minute endeavor. Along with our ideas and tips, we've included a few products from Amazon that we believe you may enjoy! In most cases, you can receive these products very quickly through Amazon Prime making Halloween decorating fast and easy - and you can avoid the crowds too! 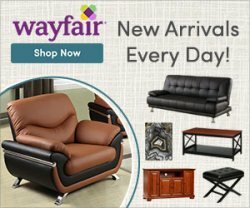 As an Amazon Associate we earn from qualifying purchases - but at no cost to you. Here are six ideas from which to choose whether you have a month or only a few days to decorate. If ordering decorations, we recommend Amazon Prime to receive your merchandise within a day or two. 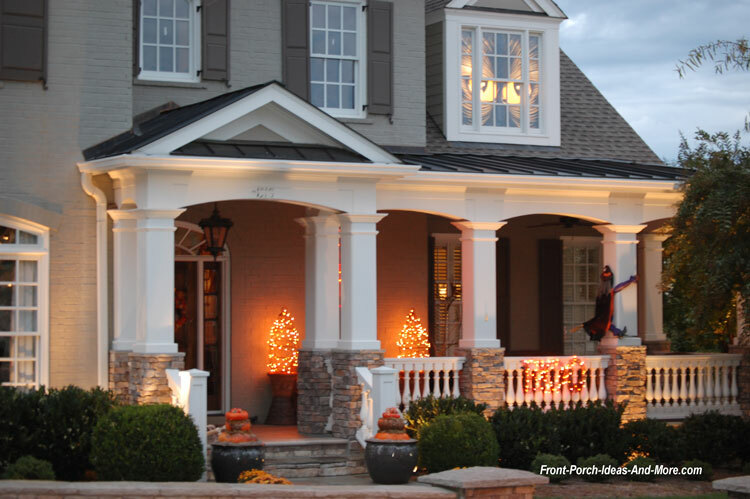 Quickly add Halloween decor to your porch by using Halloween porch light covers. 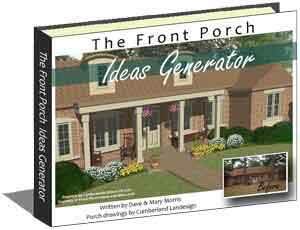 Easy to install, they will give your porch and home a Halloween spirit that families and friends will enjoy. Reusable, you can use them annually saving you the cost of replacements - and they won't go out of style! These are perfect for a porch, side entrance, garage door, or even business lighting. 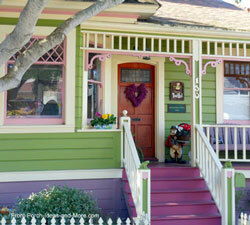 They add immediate charm to your home whether it's night or day. 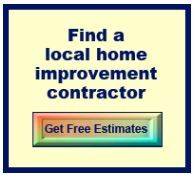 Most have elastic cords that slide over the light fixture for easy installation and removal. 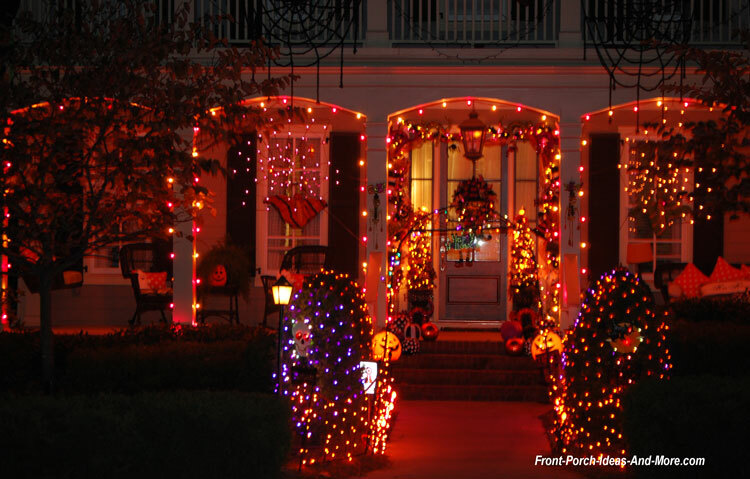 If creating a Halloween theme on your porch, look for light covers in the same category. 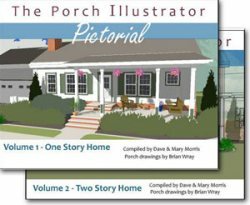 You'll find more porch light cover styles at Amazon (affiliate link). Halloween door covers are made to fit almost any standard size door and can usually be cut if necessary to fit smaller ones. 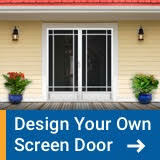 Easy to install and remove, your trick or treaters will love walking up to your door! Some are even light and sound activated. Not exactly what you need? Check out more Halloween door covers at Amazon (affiliate link). This is a quick and easy way to add either frivolity or spookiness for your Halloween. Place one of these in your front windows to add instant Halloween decor. Most come with with or without paned window option. Hang them up, keep your interior lights on, and get ready for the trick or treaters. They usually come with adhesive pads that attach to your window trim making them easy to attach and remove - save them for next year! 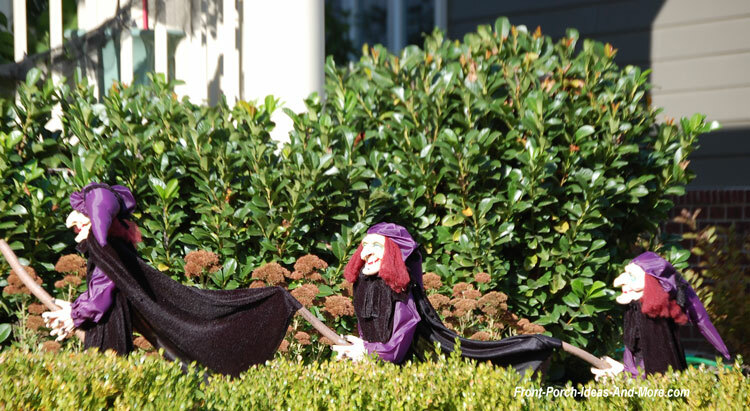 Use Halloween outdoor decoration characters on your porch or in your yard to greet the little goblins. Kids love 'em and more importantly, you can reuse them each year to make Halloween decorating a snap. What's easier than dusting them off and placing them in your yard or on the front porch? Don't have a lot of time or time's run out and Halloween's only a day or two away? No worries - light up your entire home for Halloween with a flick of the switch! Use an outdoor and indoor night light wave projector with a Halloween theme - it's incredibly easy. You can use it inside for Halloween too and for other holidays too. Select one based on coverage; most projectors are designed to withstand snow, rain and intense sun. 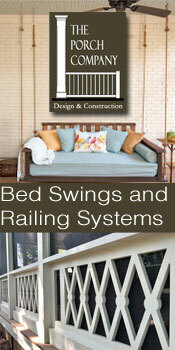 It's a small investment you can use outside to decorate your house, landscaping, or swimming pool. Use it indoors for decorating rooms, parties, and all kinds of other activities. Like DIY Halloween projects? We found this video from Martha Stewart on how to make homemade haunted decorations. Check it out if you dare. You can see more Halloween porch decorations at Amazon (affiliate link). Mary and I use Amazon Prime - it's convenient, fast, and makes shopping so easy.